Editing is not about the grammar police patrolling through your creation with heavy boots, commanding what you may or may not do. Editing is ideally a mediation between writer and reader: the editor advocates the needs and expectations of the reader while advising the writer on how to most effectively reach that reader. The best editing strives for the continuity and flow needed to keep the reader’s attention engaged and in the text — the reading equivalent of being so absorbed in a film you forget you’re in a packed theater. It can take much less than an incorrect subject-verb agreement to startle readers out of that spell, or, worse, to prevent their entering it; indeed, a monotonous rhythm can be almost as distracting and discrediting as outright grammatical errors. Some of my personal pet peeves: repeated use of either the uninspired (“the day was ever so muggy”) or overly inspired (say, a minimum of three adjectives for each noun). Even just overuse of “specialty” words ( myriad , for example) — which ideally would be only sprinkled through the text, enhancing the flavor of the writing without dominating it — quickly loses its charm. When asked to do a light edit, I am grammar police, but I wear dainty boots. I tiptoe through the rows of sentences, and will sometimes suggest edits, but I yank only the weeds. I respect that this approach is all that many writers want of their editors. If this is true of you, tell me so up front; I will oblige. But when granted permission to offer more, I act as advisor, consultant, suggesting spots where tighter text would produce a more striking rhythm, where subtle transitions would improve the flow of thought. Sometimes this involves simply moving a phrase or reordering modifiers without deleting or adding anything. However much I may suggest, I strive to retain the feel of the original text, remaining true to its personal style. Good edits should enhance writing, not dominate it. With some edits I like to explain the thinking behind my suggestions. In many cases it’s not that the text is “wrong” as is — no grammar rules have been broken — it’s that I feel the overall spell has been broken. My role is to identify for you all the spots that might distract a reader; your role is to determine which of those distractions you can live with. Unless you write only for income, then the first draft is the very reason you write. I think of this stage as a form of validation, when one should write in full: savoring, archiving. This is the draft where you don’t want to skimp, so don’t say too little, and don’t equivocate. Honor your experience by expressing your feeling as completely as possible. 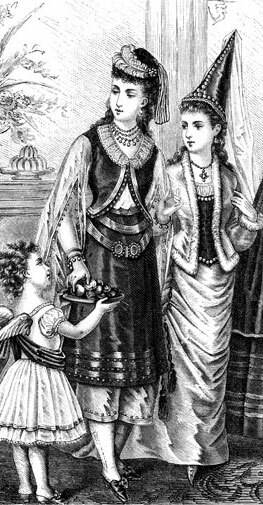 Think of the invitation of your words as a virtual trail of bread crumbs offered for readers Hansel and Gretel to follow. Ideally, when you wrote the draft for you you captured all you had to say without omitting anything. But all too often the tale is incomplete — because the writer knew the full context, and didn’t think to detail it all. But it is a writing peril to assume that the reader can follow the trail, or trial, of your experience with minimal guidance. Otherwise, the reader may encounter the text equivalent of a bread crumb path partially eaten by squirrels. The writer can traverse this path with ease, but Hansel & Gretel are lost in the forest next to a solitary crumb wondering: How did we get here? A moment ago we were on the bus. This is one of the main ways editors assist writers: providing an unbiased, critical read to help identify points at which the reader may get lost. Another version of saying too little concerns what I call connective tissue. Ideally each sentence flows nicely into the next, and each phrase leads into the next. Sentences lacking narrative flow can feel just as utilitarian as lists, and too much utility quickly bores the reader. Surprisingly, even just a well-chosen word here or there can provide all the connective tissue necessary to create or maintain a smooth reading experience. For example, the second of these sentences to follow doesn’t necessarily flow from its predecessor; it might have appeared anywhere in the parent piece. My edits aimed to lead the first sentence more smoothly to the second. But the more common writerly pitfall is the plotting of paths with a surfeit of bread crumbs. (As Sol Stein would put it: “one plus one equals a half.”) While you want readers to believe following your trail will not lead them astray, they don’t need you to recount every step you took en route. This “saying too much” can occur in every writing unit: phrases, sentences, paragraphs — even scenes and chapters. In editing the diverse submissions that ultimately appeared in I Thought My Father Was God: And Other True Tales from NPR’s National Story Project, Paul Auster found one striking similarity: very often the final paragraph was superfluous, and it was often the only text he cut. The story had been told beautifully up until that point, but the final paragraph might as well have been a joke-teller explaining the joke. In cutting that paragraph, Auster left something for readers to discover for themselves. So trust your readers’ intelligence; let them feel they reach your important realizations with you. To realize, on one’s own, the beautiful truth the author carefully sculpted but never quite stated, is to fully engage with a text. In such moments, readers become your co-conspirators in story. The trouble is: writers love words, and writers can especially love their own words. But, as Sol Stein points out in his chapter “Welcome to the Twentieth Century” ( Stein on Writing ), the reader of today and the reader of centuries past are two different species. With the amount of distraction we live with now — phone, text, email, IM, Facebook, Twitter, blogs — readers’ interest can easily flag. As such, today’s writer cannot assume the loyalty that, say, Anthony Trollope’s readers offered. To get a sense of just how quickly today’s readers can tire, Sol Stein conducted an admittedly unscientific experiment. He found that mid-Manhattan bookstore browsers spent an average of three minutes considering a work of fiction, after which it was either tucked under the arm or replaced on the shelf. So, you need to hook your reader within the first few pages of your text, ideally in the first paragraph. That might seem like a tall order, but it’s an essential one. “Nothing” words and excessive details bore the reader. After encountering a number of needless words, the reader starts skimming rather than reading — an action one step closer to quitting the work altogether. Conversely, active, surprising diction rouses the reader, conveying there’s much to be missed in not reading further. But oh, revising and pruning can be so painful. Therein lies the beauty of your first draft, the archive in which you’ve honored your complete experience. That draft can remain intact as you work and shape the draft for your readers. And know that writers sometimes need to grieve the sentences they cut, so allow that grief. Create a repository of severed limbs, or create new containers for them. For disparate snatches of text, even the most prosaic writer could venture into Western haiku, which doesn’t require the Japanese 5-7-5 syllable structure. Crafting haiku calls for capturing the essence within a minimum of space — a practice that strengthens the internal red pen needed in revision. It also encourages the writing advice of master teachers: use shorter (Germanic) words rather than longer (Latinate) ones; use few modifiers; choose strong, vibrant nouns and dynamic verbs. Cut words are not necessarily bad words; they can be beautiful, as these above are. They’re simply not useful in certain contexts. So, find them new contexts [such as the Haiku Collective], and continue to hone the work at hand. In answering the question of if he practices what he preaches re: disciplined revision, Sol Stein noted that he submitted his novel The Best Revenge to his publisher in its eleventh draft. They planned to publish with no additional editing, but he managed to revise it twice more before printing. This link shows two pages of the final manuscript from the First Edition of William Zinsser’s On Writing Well (10-11). In the same book William Zinsser provides a sample edit of an author’s first draft; his comments are embedded in brackets within the quoted text (85). 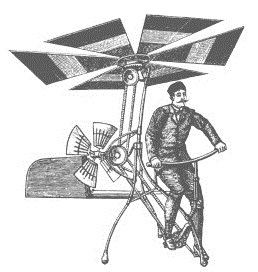 When assessing the efficacy of a piece of fiction or creative nonfiction I think of it in terms of an early flying machine, where the reader is a figure hoping to be taken on a journey. This machine needs to be both solid enough to carry its passenger and buoyant enough to sustain flight. In reading through a piece, and in thinking of it after, I consider two things: In what ways is it solid? In what ways does it soar? If a work is solid or substantial it effectively and succinctly conveys information. This is perfectly appropriate for some (more utilitarian) purposes. But with no wings, feathers, glue, ropes, tension, release, etc., a creative piece will never get off the ground. It solidly plods; it doesn’t carry us. The reader will continue reading only as a means to an end, if at all. If a work soars it provides descriptive color, flavor, texture: it enchants, it takes us on a journey. It might carry us far and wide, to places unimaginable, to sights never before seen — higher and higher and … and … A flying machine that lacks a well-thought-out design and integral solid structure, that has perhaps tenuous ropes and glued-on feathers, will come apart at high speeds and melt in the sun. This structure cannot be sustained, and so neither can the journey. To summarize the explanation in The Chicago Manual of Style (6.22 Restrictive and nonrestrictive clauses): Whether to use “that” or “which” mostly concerns if the clause is essential to the meaning of the sentence — where omitting it deprives the sentence of important meaning. If the clause is essential to the sentence, use “that” — without a comma. Only use “which” when the clause is not essential to the meaning of the sentence — and when you do, always set it off with a comma. Now, a sentence correctly using both. Although it is a common practice in British English for “which” to be used instead of “that” — the reason so many find this tricky — U.S. publishers prefer the guidelines described above. Note: some will argue this last example with just one comma following the aside is perfectly fine. I imagine this view stems from how the sentence sounds: that you’d insert a comma only where you’d expect to hear a pause were the sentence said out loud. Yes, perhaps; and language is always changing. But, for now, I nonetheless feel the greater clarity of precise comma use can only benefit the reader. Unlike in speech, where we can convey meaning via inflection, emphasis, and body language, in print we lack those tools. Given that in text we can rely on only word choice and punctuation to convey our intended meaning, we can greatly aid the reader with precise placement of modifiers. Though some of the examples below are ludicrous, and in some contexts this hyper-precision would be inappropriate, it certainly doesn’t hurt for writers to default to the precise form, later altering as necessary. HOVERING IN THE FUCHSIAS, HE saw a hummingbird. it’s the hummingbird that’s meant to be hovering in the bushes. And yet, as the “he” of the sentence is next to the description, such makes it appear that he is the one hovering in the bushes (whoever “he” is). This type of error beautifully demonstrates a truism about writing: Not all in the writer’s brain ends up on the page. the DDT isn’t named at all, and so we get the delightful image of cows being sprayed on grass. As you can see, dangling modifiers can happen to the best of us. But, again, as long as your meaning is clear, you need not be fanatic about this particular comma use. Aardvark maintains Squiggly’s yard is too big. In this sentence one could easily at first read “maintains” as referring to gardening work — only to be confused upon reaching “is too big.” Preferably writing includes no risk for misinterpretation, as the confusion, and perhaps rereading of a phrase, disrupts the reader’s experience. Aardvark maintains that Squiggly’s yard is too big. For example: that in “I thought that she loved me” is distancing; the addition of that postpones our reaching the heart of the statement: I thought she loved me. If the character is cautious, reluctant, disengaged, then the that is very effective; he’s reluctant to feel. (Think of the character Cecil Vyse played by Daniel Day Lewis in Merchant Ivory’s A Room with a View. ) But if the character is distraught, suffering from feeling, the that wouldn’t effectively portray the character’s state, and so the that is subconsciously distancing to the reader, who as a result feels less connected to the character, and thus less engaged in the narrative. Wouldn’t a distraught, passionate character be more likely to say “I know she loves me” than ”I know that she loves me”? Say both versions out loud; which version’s rhythm better matches its content? Greater specificity makes for more compelling reading. Why? We cannot connect with what we can’t envision. Occasionally ambiguity results from a writer’s subconscious equivocation. This can easily occur in the writing of memoir, when an author might try to protect nascent intimate confessions within vague description. Though the text almost tells a story, we are prevented from fully seeing, hearing, and tasting the experience. The reader senses something important is being left out—an epiphany just around the corner that never arrives. This is an uncomfortable feeling. Readers yearn for epiphany, whether consciously or subconsciously. We often turn to artists, poets, and musicians to express for us what we feel but have no words for. According to Lisa Cron in Wired for Story, we crave narrative so as to learn how others have wend their way through this thing called life. As such, writers would be wise to give readers what they seek. Speak your truth. A more comprehensive guide, the 25-item “Edits and Opportunities” handout, is available upon request. Simply mention it in the CONTACT form. Susan Bell, THE ARTFUL EDIT: ON THE PRACTICE OF EDITING YOURSELF (W.W. Norton & Company, 2007): especially ch. 2, “The Big Picture: Macro-Editing” and ch. 3, “The Details: Micro-Editing.” Ch. 2 beautifully relates the methods F. Scott Fitzgerald employed when revising The Great Gatsby . Lisa Cron, WIRED FOR STORY: THE WRITER'S GUIDE TO USING BRAIN SCIENCE TO HOOK READERS FROM THE VERY FIRST SENTENCE (Ten Speed Press, 2012). John Drury, CREATING POETRY: How to Begin a Poem, Use Word Combinations and New Forms, Apply the Lessons from Master Poets, Choose and Use Images and Words Carefully, and Much More (Writer's Digest Books, 2006). Francis Flaherty, THE ELEMENTS OF STORY: FIELD NOTES ON NONFICTION WRITING (HarperCollins, 2009). Robert Graves & Alan Hodge, THE READER OVER YOUR SHOULDER: A HANDBOOK FOR WRITERS OF ENGLISH PROSE (Random House, 1943, 1979). Hans Hofmann, quoted in Joseph M. Williams's STYLE: TEN LESSONS IN CLARITY AND GRACE, 6th ed. (Addison Wesley Longman, 2000). Stephen Minot, THREE GENRES: THE WRITING OF LITERARY PROSE, POEMS, AND PLAYS (Prentice-Hall, 1982, 2011). Pamela Olson, Fast Times in Palestine (Seal Press, 2013). Andy Ross, ASK THE AGENT blog. Suzy Soro, from the essay “You’ll Never Babysit in this Town (Again)” in No Kidding: Women Writers on Bypassing Parenthood (Seal Press, 2013). Sol Stein, STEIN ON WRITING: A MASTER EDITOR OF SOME OF THE MOST SUCCESSFUL WRITERS OF OUR CENTURY SHARES HIS CRAFT TECHNIQUES AND STRATEGIES (St. Martin’s Griffin, 1995): especially ch. 2: “Come Right In,” ch. 21: “Liposuctioning Flab,” and Part VI: Revision. William Strunk and E.B. White, THE ELEMENTS OF STYLE.